While probing through blogs yesterday, I found myself on Wish Wish Wish and immediately fell in love with this cute beret post. 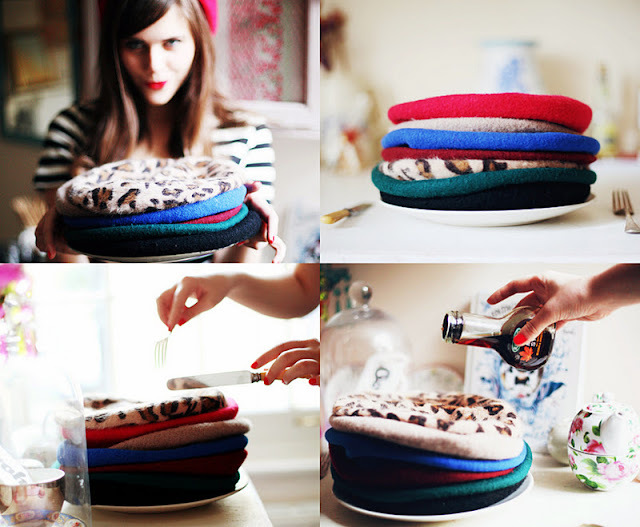 Carrie is one adorable blogger and her "pancake" beret-styled idea is genius, no? Gotta give her props. 2. From yesterday's post, I meant what I said about wearing berets more often. And with that being said...breakfast is served. It was extremely windy out and through his photo shoot I was practically shivering. Finally embracing the fact that it is still winter and it's here to stay...until March 20th, that is.